The Malawi international opened the scoring after 11 minutes at Peter Mokaba Stadium, but Rise and Shine equalised through Rodney Ramagalela from the penalty spot 13 minutes later. And despite having let City back into the game, Ngalande feels Bakgaga can take plenty of stock from the result. 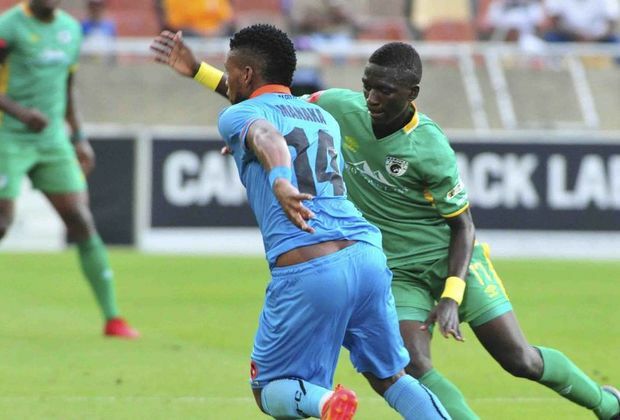 It was the fourth consecutive time the Limpopo derby ended in a draw. "I think we feel good. This was a derby and we didn't expect it to be that easy, and coming out with a point is still good for us," Ngalande told the media after the game. "We wanted three points, they didn't come our way but we're happy with what we got. "I think we've been doing well and not every expected us to be where we are but we're pushing and we're still going to push until the end. I'm happy, we're doing alright."